According to Forbes, small business makes up half of the economy as a whole. It is a $70 billion marketplace and $40 billion of that falls within the CNA Small Business appetite. CNA has developed a wide array of coverages to protect small businesses over their 120 years of insurance industry experience. Today we highlight CNA Connect®, their flagship business owners policy. CNA Connect® provides small business clients broad and relevant protection, with more than 300 optional coverage endorsements that offer increased deductible options and a wide range of limit options for both Property and General Liability coverages. CNA Connect® is available for more than 600 classes of business, offering flexible coverage options. Business Personal Property is coverage on premises and anywhere in the coverage territory in your care custody or control while you or your employees are traveling or moving between locations as the same limit. Liability Coverage automatically includes aggregate limits per location, Broadened Liability Extension and 9 types of Additional Insureds. Employee Dishonesty and Employment Practices Liability are included within the base coverage offering for most insureds, with higher limit options available. CNA Connect® is customizable with specialized Choice Endorsements and a wide range of limit options. For more information, review the CNA Connect® Sales sheet, or log into www.bigimarkets.com and click on Small Commercial. Contact Big "I" Markets commercial underwriter Tom Spires at tom.spires@iiaba.net or (800) 221-7917 ext. 5470 with any questions. This market is available in all states except AK, FL, HI and LA. Travelers Select® offers a robust variety of coverages for small businesses. A proprietary BOP product, Master Pac®, Workers' Compensation, Commercial Automobile, and Commercial Umbrella are available, with a broad array of industry-specific coverage options and coverage extensions. Travelers is available in all states except AK, FL, HI, LA, RI & TX. Elves have been sighted and holiday packages are going to be flying through the air soon. If you don't have access to Santa's sleigh service, perhaps you can save on your holiday shipping expenses with your Big "I" member discount! As long as you're a Big "I" member in good standing, you can take advantage of competitive shipping savings rates available from UPS. 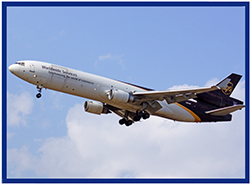 Whether you need your documents or packages to arrive the next day or you're simply looking for the most affordable shipping option, UPS understands the importance of reliability, speed and savings. These discounts are available even if you already have a UPS account. 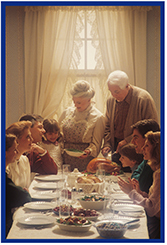 To enroll and start saving, visit savewithups.com/iiaba or call 1-800-MEMBERS (1-800-636-2377) Monday-Friday from 8 a.m.-6 p.m.
Having friends and family over for Thanksgiving brings up feelings of warmth and love, joy and laughter, and of course memories of turkey, stuffing, football, and more. For the Big "I" Markets team, Thanksgiving is a great time for us to pause and reflect on our gratitude for you, our Big "I" Markets agents. We are grateful to you for your continued partnership. Without BIM agents, there would be no Big "I" Markets. Thank you for working with us and with our company partners to protect your insureds. We are grateful for the chance to serve you and the chance to do business with you. We will resume normal business hours on Monday. We wish you a wonderful holiday, and again, we thank you. 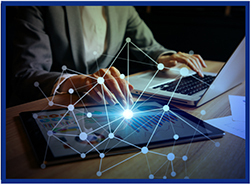 All 2-hour Big “I" Virtual University webinars include access to the live session, a link to the post-event on-demand recording available to you 24/7, and a transcript, a valuable and value-added reference tool. Please send any questions to VU staff. Review all VU education offerings here. Congratulations to our agent in Michigan on a Cyber Insurance - Coalition sale of $10,152 in premium!